Here at World Financial Seminars, we believe that travel can expand horizons. When we engage with a destination, every trip is full of incredible moments that will stick forever in our minds and change the way we see the world. Just a few short months into 2016, we’ve already had the wonderful opportunity to share countless unique experiences with you, our loyal Members. We’re grateful for every memory we created together. As you read this issue of The Panorama, I hope you’re inspired to join us for an upcoming event. Each event has been designed with care to ensure that you have the opportunity to discover cutting-edge investment strategies from our team of world-renowned investment experts… connect with like-minded men and women who share your passion for travel and finance… and explore the world’s most beloved destinations in ways that only the most fortunate travelers can. Whether it’s your first trip with us or your 10th, we guarantee your experience will be exciting, inspiring and truly unforgettable. This past February, our team had the great pleasure of hosting an intimate group of 22 Oxford Voyager Club Members for a one-of-a-kind retreat to legendary Napa Valley, California. They were joined by Oxford Club Editors Alexander Green, Marc Lichtenfeld and Matthew Carr, as well as three special guest speakers – who, despite having diverse backgrounds, all have one thing in common: They have all been guests on the Oprah Winfrey Show. Attendees enjoyed a wide array of investment insights from our team and several special guests. One such guest, Dr. Michael Roizen, chief wellness officer of the Cleveland Clinic and New York Times best-selling author, gave us his take on how to reach your peak level of wellness. He revealed easy research-driven habits we can form to increase our health and longevity. It was definitely a favorite among attendees, and we’d like to welcome all of our Members to check out Dr. Roizen’s presentation by simply clicking here. Another favorite amongst guests was an exclusive food and wine tasting, led by palate expert and Master Sommelier Sur Lucero, designed to help them taste the impact each one has on the other. Who knew that the secret to having steak go perfectly with a bold red wine is to add a bit of salt? Guests also had the opportunity to hear unique travel insights from Adam Vaught, director of partnerships at Zicasso, a company specializing in handcrafted travel. He spoke to the new trends in travel regarding how to get the best personalized experience… how to use technology to connect with the most knowledgeable specialists for your trip… and how a luxury travel “matchmaker” can customize your itinerary and take your trip to the next level. Adam is even offering Oxford Club Members a $300 discount on their first booking if made this year. 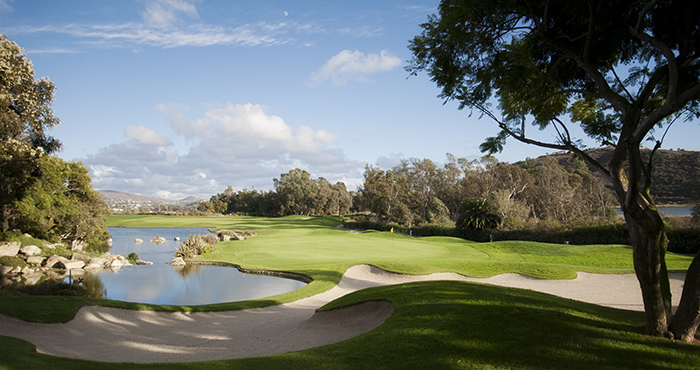 If you’re interested, please contact him by email at adam@zicasso.com or by phone at 650.564.4361. And finally, guests enjoyed an exciting presentation from Adriane Berg, a longtime friend of The Oxford Club, on the seven factors of longevity and how to ensure your financial planning is secure enough to keep your buying power strong long into retirement. You can find out more about Adriane’s insights in this issue’s Speaker Spotlight. Just two days after concluding our successful Beyond Wealth Retreat in Napa Valley, our team jetted off to Panama City for our most elite event, The Chairman’s Circle Wealth Cruise. It provides an unbeatable opportunity for our Members to explore colorful ports of call filled with scenic beauty, amazing wildlife and vibrant cultures… enjoy stimulating conversations with other savvy investors and financial gurus… share in the spirit of adventure, the passion for discovery and the joy of new friendships… and relax in style and luxury aboard the world’s finest cruise line. Of course, along the way there were also many opportunities to examine the outlook for stocks and bonds, as well as other markets. Throughout this luxurious 10-day journey, our team of experts – including Chief Investment Strategist Alex Green, Chief Income Strategist Marc Lichtenfeld, Emerging Trends Strategist Matthew Carr, Resource Strategist Sean Brodrick and Bond Strategist Steve McDonald – shared profit-making insights with our eager-to-learn Members. 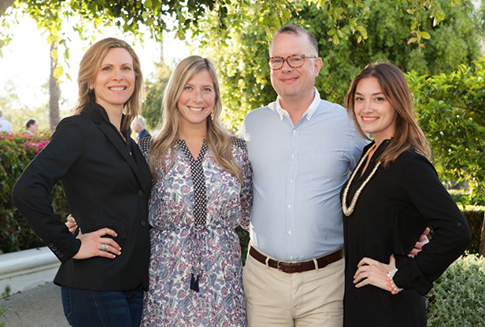 Together, they gleaned profit-making insights – identifying where potential returns lie and where outsized risks loom – all while relaxing in an unparalleled atmosphere of absolute six-star service. These cruises are truly unrivaled, and we’re already counting down the days until the next one in 2018! If you’d like more information on where we’re going next and how you can join us, simply click here or contact our Chairman’s Circle cruise office at 888.684.7245. But, boy, was it worth it! We’ve just returned from our 18th Annual Investment U Conference and couldn’t be happier with the outcome of this event. And expressing their satisfaction with our outstanding venue. As it stands, the presumptive GOP nominee’s tax plan would cost America more than $10 trillion. And the Democratic front-runner proposes to nearly double the capital gains tax rate paid by the highest earners on short-term investments. There’s no denying that whatever changes are ahead, they will affect you. And our goal at The Oxford Club’s 2016 Private Wealth Seminars is to help you prepare. Right now, The Oxford Club’s team of expert strategists is working together to develop an actionable plan that will help you prosper in the days leading up to the 2016 U.S. presidential election… and the days after. And scouring the markets to identify the specific sectors they believe will benefit from the policy changes that come after the election. They’ll reveal their findings for the first time at our Private Wealth Seminars. What’s even better is you now have two choices as to when and where you’d like to join us! For more than a century, Stowe has attracted the world’s most discerning travelers, who have cherished the beauty of the area’s covered bridges, sparkling lakes, rambling woodlands and majestic peaks. 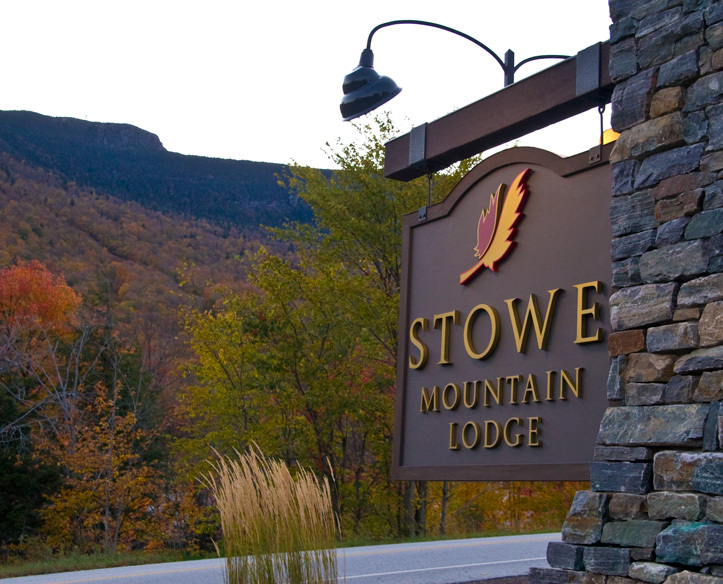 Having opened in June 2008, Stowe Mountain Lodge sets a new standard of luxury and aesthetics as the East Coast’s most magnificent resort. Here, you’ll not only discover how you can profit from the election – regardless of who wins – but you’ll also build unforgettable memories in this unrivaled New England oasis. For this unique event, we’ve also arranged for attendees to delight in a unique gondola ride to our spectacular welcome reception at the Cliff House Restaurant – distinctively situated on the shoulder of Mount Mansfield. For more details on this event – and to reserve your spot – simply click here now. Soaring 92 stories above the Loop and North Michigan Avenue, Trump International Hotel & Tower Chicago is a showcase of bold style and engaging design, polished stainless steel and iridescent-tinted glass. It is the tallest reinforced concrete building in the world and downtown Chicago’s most enviable address, a place where impeccable style and spectacular five-star service will define your experience. Set beside the Chicago River, this high-rise luxury hotel is only two blocks from upscale shopping on the Magnificent Mile… a short walk to the famous Navy Pier… and surrounded by dozens of world-class restaurants. There’s no doubt in my mind that this is one of the very best venues we could have chosen for you to gather with our experts and learn the latest and greatest ways to profit ahead of – and after – the November vote. Last spring we announced we were creating a one-of-a-kind financial exploration tour to South Africa. And the interest was off the charts! Registration for The Oxford Club’s Financial Discovery Tour of South Africa this coming September 19-30 is officially open. This remarkable “bucket list” event will begin at the Four Seasons in Johannesburg, one of Africa’s biggest and most vibrant cities and its economic capital… go on to Kruger National Park, South Africa’s premier private game-viewing destination… and end in Cape Town, one of the world’s most beautiful cities and a top international destination. If you’re interested in joining us for this cosmopolitan adventure, I urge you to contact us today. Space is extremely limited for this event, and reservations will be granted on a first-come, first-served basis. To find out more, simply click here now. 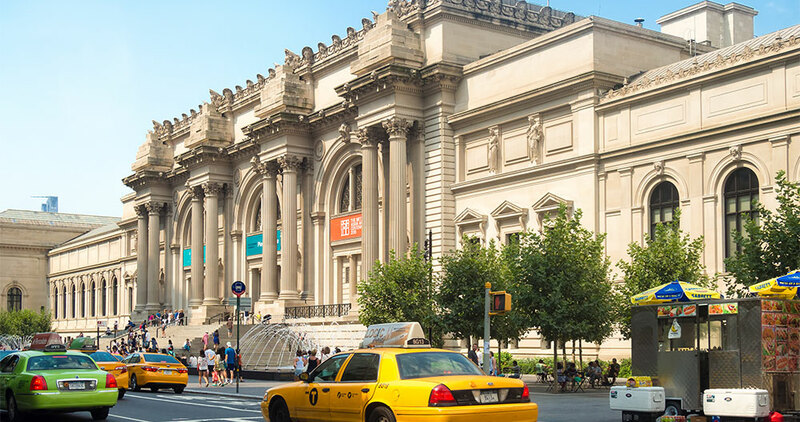 Thanks to our exclusive connection with esteemed art and collectibles experts from New York, Washington, D.C. and London, you – and 39 other attendees – will enjoy the rare opportunity to meet, drink and dine with leading experts on art investing from around the world. This is an exclusive event where you can discover the best strategies this year for profiting from rare precious metals, fine art, antiques, stamps and other real assets you may have never considered, but are proven to beat the stock market over time. Rare stamps grew 255% and offered annual growth of 10%. Coins grew 248% and offered annual growth of 11%. What you may not realize is that it’s getting much easier to be a more passive investor in these asset classes. These markets are getting more developed, more transparent and more liquid. There are new online tools, rating services and apps that will soon change the way that investors buy art. There are new indexes being created all the time to track different sectors. Here at World Financial Seminars, one of the key components of achieving a rich life is becoming financially free. 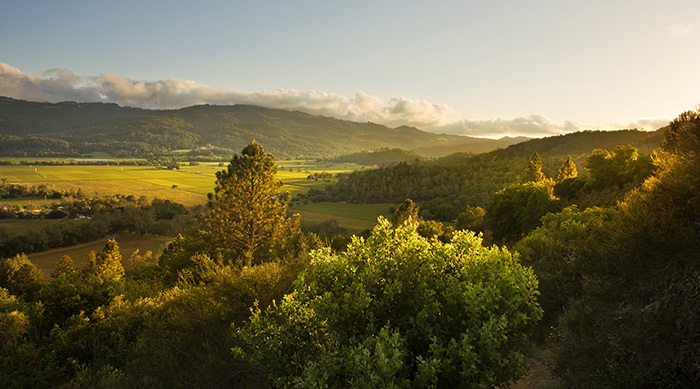 At our Beyond Wealth Retreat this past February in Calistoga, we invited longtime friend of The Oxford Club Adriane Berg to speak on financial gerontology. Because her presentation was such a hit with our attendees, we decided to interview Adriane so that you could also enjoy her insights on how to achieve lifelong goals through retirement. Heather Downey Phillips: What exactly is financial gerontology? Heather Downey Phillips: What is the single most important thing you do to fund our longevity? 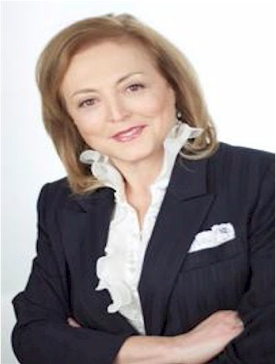 Adriane Berg: I work with a whole new world of solutions for tax-free income and lifelong, sustained low-risk growth. For example, the “short funded indexed universal life contract.” That’s a mouthful, but it is used to produce very significant TAX-FREE LIFELONG INCOME. This is a sophisticated program that takes know-how. For us, it is an everyday strategy along with specialized tax-free money management. Heather Downey Phillips: You say money is part of successful aging – how so? Adriane Berg: After 60, you’re doing new things and meeting new people and contributing to the world. But in our society you may start to feel invisible. I’ll be blunt; money helps you stay relevant, independent and younger because you are in control. Studies show that when you feel secure financially, you live six years longer. I believe my work is as essential to successful aging as medicine, nutrition and exercise. Heather Downey Phillips: What is the financial industry doing to meet the challenges of longevity? Adriane Berg: Very little. A lot of platitudes, warnings that we’re going to live longer – thank you very much. A lot of reminding us that healthcare is expensive – yet another thanks – as if we didn’t know it. But their solutions are the same old story: “Diversify, allocate your assets and pay me a nice fee to do it.” That’s what they’ve come up with. Heather Downey Phillips: What do you do differently? Adriane Berg: We use tools like guaranteed income contracts, tax-free income strategies, even arrangements with home health providers for lifelong care where needed. We look at portfolio agitators like Sharpe Ratio and standard deviation as leading indicators of how to infuse safety in managed funds while sustaining growth in this low interest rate environment. Heather Downey Phillips: You call tax deferral dangerous. How so? Adriane Berg: If your money is in tax-deferred vehicles, the piper (IRS) must be paid, and many of us are in a high tax bracket at retirement. We get tax infestation out and can even legitimately avoid required minimum distribution. Heather Downey Phillips: Will Social Security be there for us? Adriane Berg: Oh, boy. I was invited to the White House Conference on Aging in July, which takes place only every 10 years. Obama said no change until 2042. By October there were significant inroads in file and suspend and other strategies. I am hopeful for folks over 62, not for those younger. That’s why our Plan B for income and inflation protection is critical. Heather Downey Phillips: What is the future of aging? Can we be immortal? Adriane Berg: Maybe. Our current “maximum” life span is still 120 years, as it was in biblical times. Scientists have come up with medicines, hormone support, diet protocols, knee and limb replacements, eye implants, etc., which are making a difference in quality of life. This is not science fiction. It’s science. The question to ask yourself is this: Can you fund your current lifestyle and take advantage of the innovations to come? That’s the essence of our brand of private wealth management for your long life. Heather Downey Phillips: They call you the “cheerleader of successful aging.” How do you define that? Adriane Berg: Successful aging is like a successful marriage. It depends on what you’re looking for in life. Decide what kind of future you want to craft. From there, everything tells the story for you. It’s our job to make sure you can fund your dreams at any age. Adriane Berg is the lifelong income and retirement lifestyle director of Ronald Gelok & Associates and a consultant to ASI. Her nationally syndicated radio show, Generation Bold: The Fountain of Truth, can be accessed at http://www.generationboldradio.com.